This negroni is a classic cocktail and I’m generally not one to shy away from “creatively enhancing” a classic cocktail with fresh ingredients. 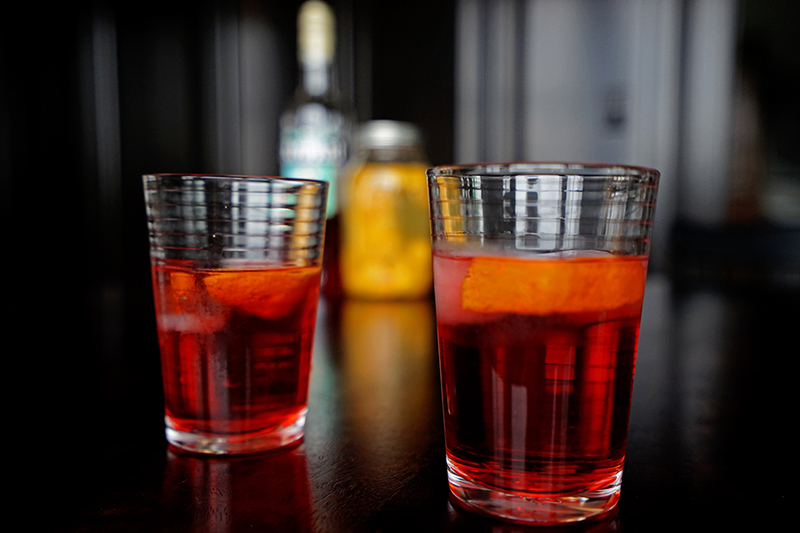 But the negroni is one you must alter carefully- as it has a cult following. 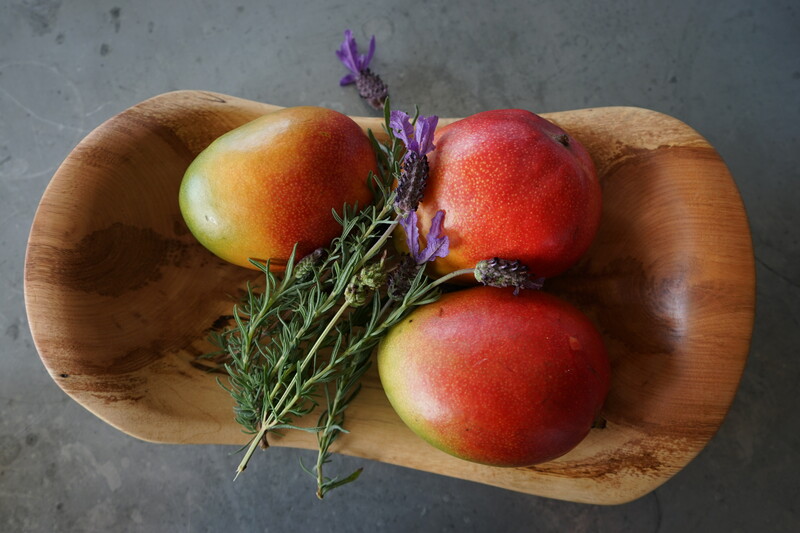 This version, showcasing the subtlties fo mangoes, adds a bit of sweet perfumy mango essence by infusing the gin with fresh mangoes. The infused booze makes the Campari taste a tad less bitter and slightly sweeter without adding sugar. The slight, added mango essence is balancing and therefore a bit more inviting to those on the fence about the bitterness of Campari. It’s a drink enjoyed year round, but this -scant of tropical- version is exceptionally nice in winter, where the brightness and vibrancy of the fresh mangoes gracefully shines through the potent and botanical booze without tasting sugary sweet.